Holy Communion is offered the first Sunday of each month at all Worship Services. The Methodist table is an open table and we invite all to participate in Holy Communion. 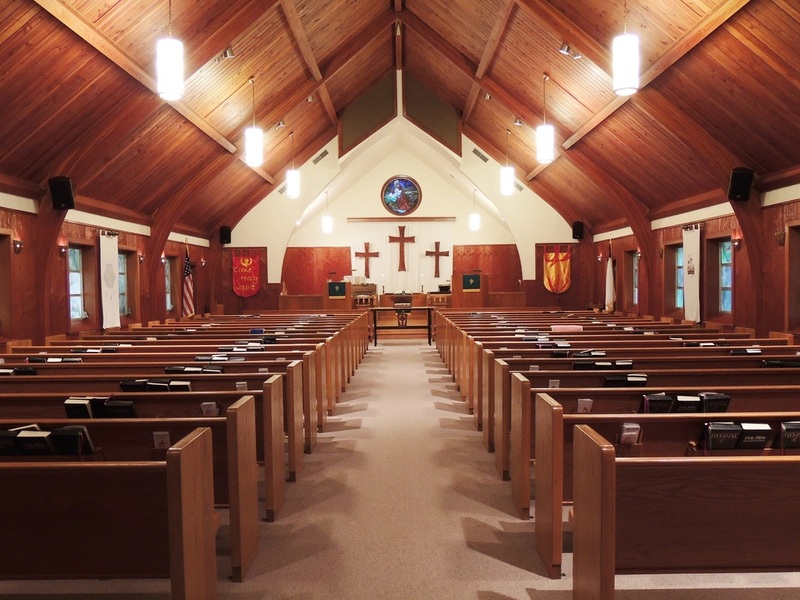 Have you ever attended a Hymn Sing Worship Service? Are you wondering what it even is? Well, after reading this you’ll know. At IUMC, a Hymn Sing Worship Service is observed whenever there is a 5th Sunday in the month. It doesn’t happen but about 4-5 times each year. The service is held in the Historic Church, so if you want a seat, you better get there earlier than normal, because space is “tight”. But even if you don’t get a good seat, we will always have a seat for you. There’s lots of singing, as favorite hymns are chosen by the congregation during the service. If you love to sing all the songs you knew growing up or the ones you love now, you definitely want to attend this service, because the music is abundant and it’s all “on you”!!! or status of life. Industry UMC, as a welcoming people invite all to open their hearts and minds to the presence of Christ in our midst. It is our hope and prayer that as you worship beside us, that God touches you in your life. God speaks to us in many ways, through prayer, through the hearing of His Word as contained in the Bible, through music, or through silence. Our worship encompasses all of these, with a hope that you may hear what God has to say to you. Children are welcome in our sanctuary. There are children’s worship folders in the back of the church for those who need them. The sound of children in worship is the sound of our church growing. We have a childcare room during worship for younger children. Please ask any of the ushers or greeters for assistance if you wish to use this offering. However, we prefer to have the children with us as a family worshipping God together. His grace in transforming our own lives and the lives of those who live in our community. or needs, please contact Pastor Leighanne Brechin at (979) 357-2136.